Living in Melbourne you’re never short of a place to start, or even finish your night. There are the institutions that litter our streets, and there are new hot spots that seem to open weekly. Given the pure competitive nature of the Melbourne bar and dining scene, everyone ends up trying to outdo each other with sometimes pretty wild and out there gimmicks, but if you’re looking for a place that wants to get back to the basics of having out with mates and having a couple of cold beers, Fat Chance Hotel is the place you’re after. The former 1000 £ Bend has strayed away from on trend Edison bulbs and white subway tiles to create a space that feels like the old school bars that you’re used to. The dimly lit room is littered with colourful lights which bounce off every surface, not to mention the mirror balls that hang from the ceiling. The food and drinks menu has gone back to basics and harks back to what you might remember your parents getting at the pub on a Saturday arvo. 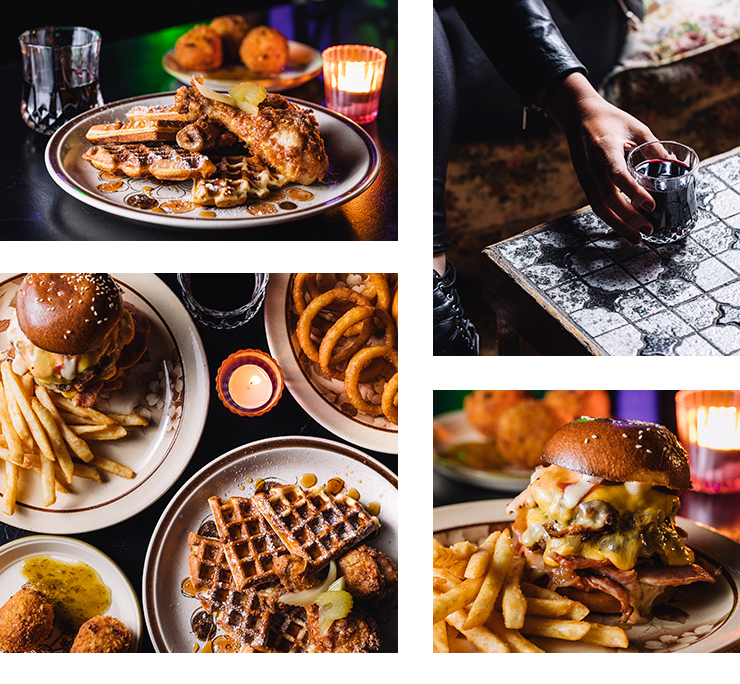 The food is based on traditional pub fare with an American twist—you’ve got classics like schnitzel and mash, a beef brisket roll with onion rings, mac & cheese balls, and—my pick—buttermilk fried chicken and waffles. After downing any of that you’re going to be parched, and there’s no shortage of drink options with which to whet your whistle. The Fainting Goat Wine Bar nestled in the back corner serves up wine by the glass or the jug, and the cocktail of the week is a UDL with an umbrella—it doesn’t get better than that. 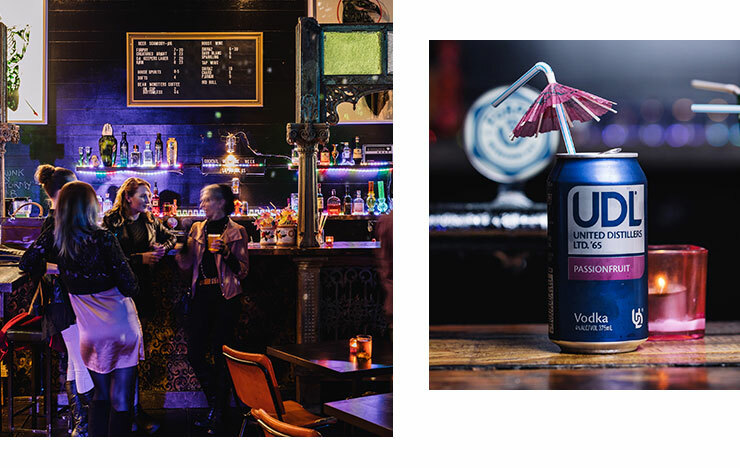 Of course, all of the other usual bar necessities are here with draught beer, tinnies, spirits and a rotating list of canned cocktails all available. Head along to Fat Chance Hotel this weekend to kick your night off right, sit back, listen to some old school tunes, and catch up with mates like you used to. Keen to keep on top of all the new openings in Melbourne? You’ll find out about everything right here.